Are There Any Maintenance Issues With Pavers? 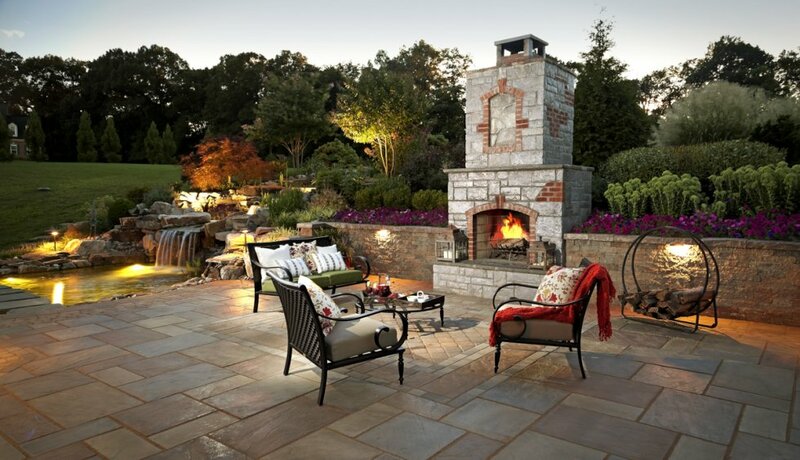 Pavers that you have installed as a patio or walkway can run into small maintenance issues. 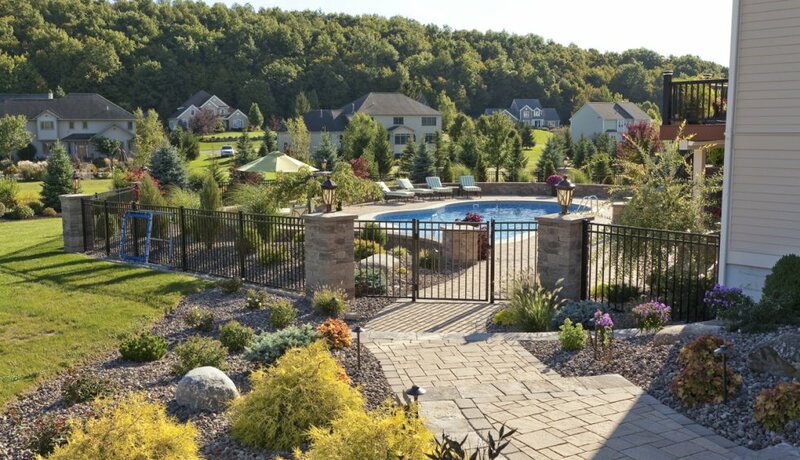 These issues are related to the stones themselves, the landscaping at your house and how you use the pavers. 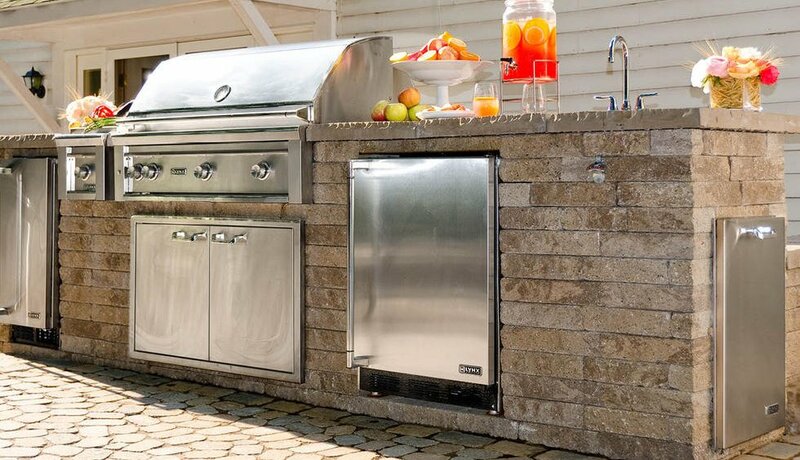 You must be sure to understand these maintenance issues before you install the pavers. These maintenance issues cannot become surprises when you are trying to keep your home looking beautiful. 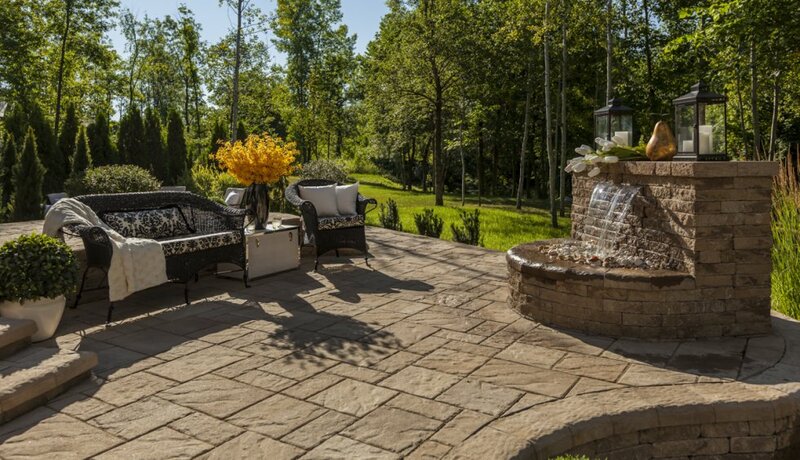 Your pavers will shift over time if the land they were installed on is not that firm. 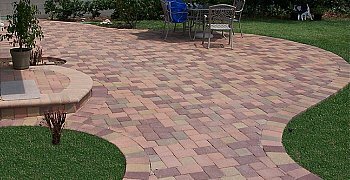 Soft dirt and clay will allow your pavers to move, and you may notice that your entire patio or walkway is shifting one way or another. 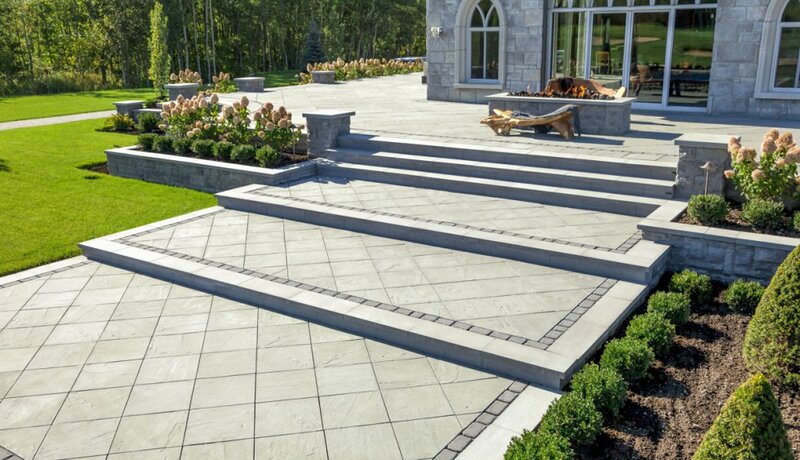 You must make sure that your pavers are installed on firm ground. If they are not installed on firm ground, you need to be prepared to shore up the edges of the space to keep them from moving. Running water and silt can cause the pavers to shift, but a border area that is solid will help prevent further movement. There are times when your pavers will break or crack due to weather conditions or overuse. 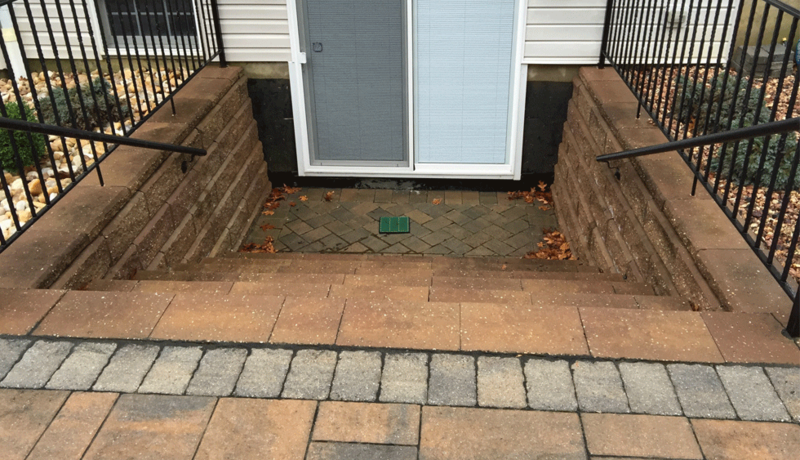 You can pull up each paver and replace it if you want to, but you must make sure that you have access to a paver that matches your space. It is best for you to take a picture of the paver to make sure the color is the same, and you need to measure the paver to make sure you get on that is the same size. You may also use glue or other adhesives to glue a cracked brick back together. When your pavers get dirty, they are going to discolor. You need to make sure you are sweeping off your pavers as much as you can. You also need to make sure that you are doing everything in your power to clean the pavers when the weather is good. A pressure washing service can quickly clean your pavers, and you will be able to see the original color arise from underneath all the dirt and debris. When you are working hard to maintain your home, you must make sure that you have invested time and energy in looking after your pavers. When the pavers shift, break and get dirty, they must be dealt with quickly. Major problems can arise if you allow your pavers to go untouched for too long. When Is It Time To Reseal a Concrete Surface? 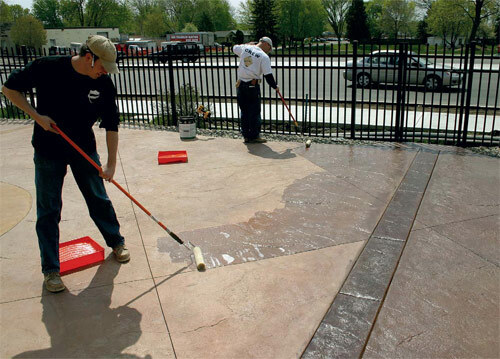 Concrete sealers provide a barrier between your concrete and the elements. A properly sealed surface can resist stains and moisture damage, although few sealers are truly waterproof. Don’t wait until the old sealer is peeling up, or until visible staining and weather damage occurs. Plan to seal your concrete regularly as part of the normal maintenance of the surface. How often you seal your concrete depends on the age of the concrete, your climate, and when it was last sealed. Newly laid concrete takes approximately four weeks to full cure, so hold off on sealing it for at least one month after installation. In hot or moist climates, concrete sealer requires replacement every two years. In dry climates, you sealer may last up to three years. heavy traffic can necessitate more frequent sealer applications. 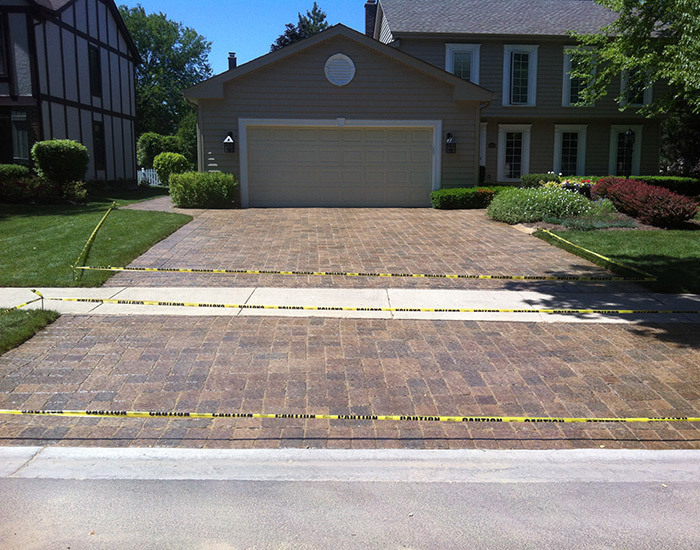 Driveways and heavily used walkways may require sealing every two years, even in a dry climate. Early summer or early fall is the best time to seal your concrete. The weather is warm but not too hot, and frost isn’t a concern. Late fall isn’t ideal because falling leaves can damage the sealer as it cures. In mild climates where temperatures don’t rise much above 80 degrees Fahrenheit in summer, you can seal during the long, dry days of midsummer, but in hot climates midsummer sealing may take longer to cure. Penetrating sealers. These sealers contain silicates that protect exterior concrete. They also penetrate into the surface of the concrete, which provides increased stain and moisture resistance. These sealers are well-suited to driveways or in areas where ice melting chemicals are often used. Acrylic sealers. Acrylic gives concrete a high sheen, so it’s especially well-suited to decorative or stained concrete work where the luster complements the details. It’s well-suited to both interior and exterior work. Acrylic also dries quickly. Polyurethanes and epoxies. These high-sheen sealers are best suited to interior concrete floors and countertops. Although exceptionally water repellent, they can trap moisture in wet areas. Your contractor will follow a similar process when sealing your concrete. First, he must clean the surface, filling and repairing any cracks or damage. If the old sealer is begin to peel, he may need to remove it. Removal methods depend on the type of sealer. Surface sealers can sometimes be removed chemically, but penetrating sealers usually require grinding to fully remove them from the surface. Once cleaned and repaired, the sealer is applied in an even coat. It can either be sprayed on or rolled on. After application, it’s left to cure. Curing time depends on weather and sealer type – your concrete contractor will let you know how long to stay of the concrete. Generally, it takes 12 to 24 hours for most sealers to dry. 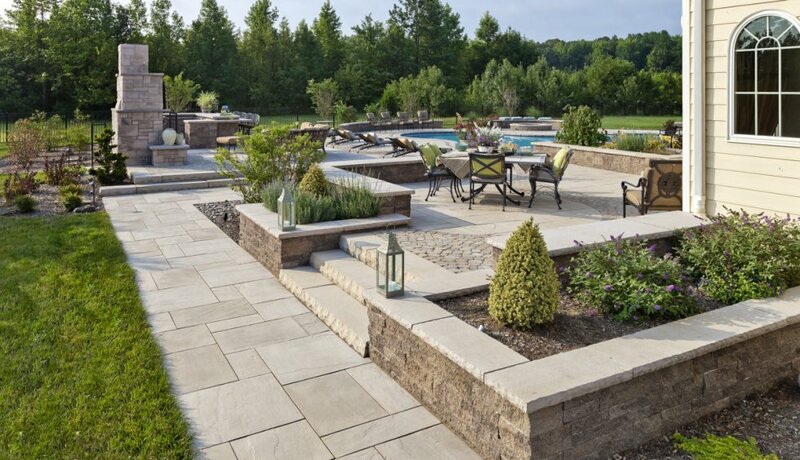 Paving stones are long-lasting and versatile, and they can be customized to be dramatic or low-key. However, the process of installing pavers requires planning, elbow grease, and patience. An efficient plan is very important, so we use graph paper to design a scaled drawing of the project area. 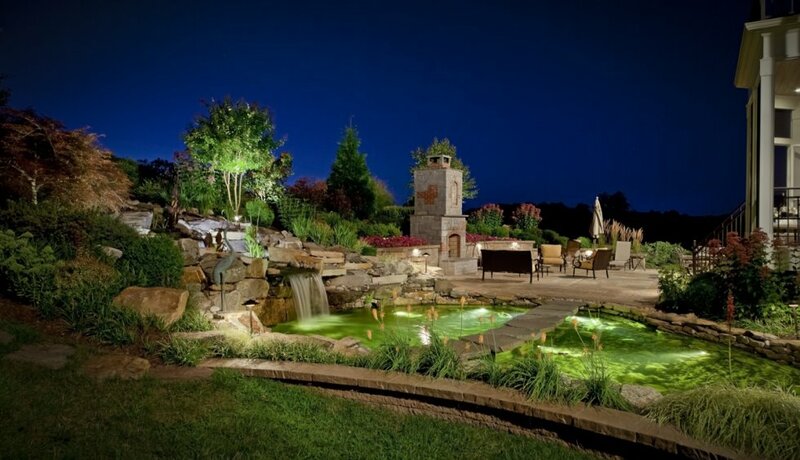 We recommend that you choose an area that has adequate drainage for durable and safety reasons. The ground should slope away from your home or any other structures. You should contact your local utilities company to obtain information about your property so that we won’t accidentally strike any pipes or cables. 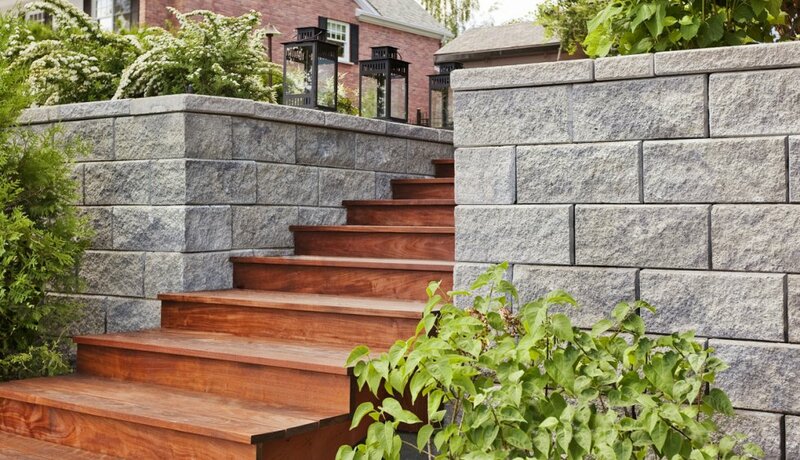 Next, you should select a material; concrete and brick pavers are very popular. However, you should select a style that suits your liking and your budget. 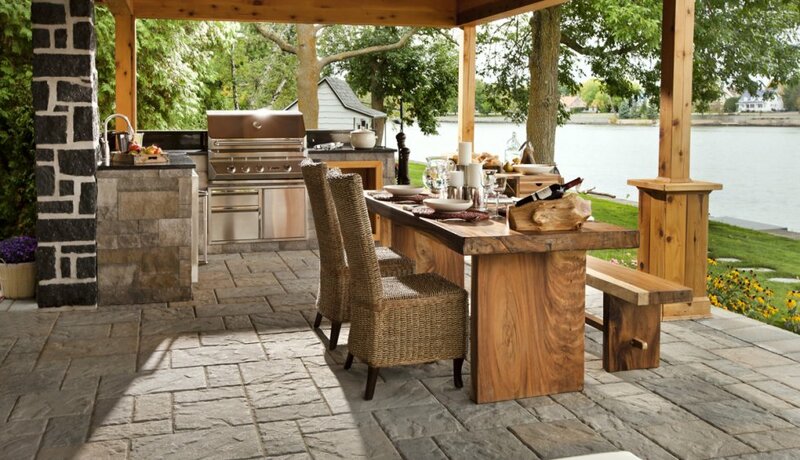 To calculate the amount of pavers that you will need, measure the square footage and add five percent. If your property has many curves, you should add an additional 10 percent to the square footage estimate. Buying extra is recommended because we may have to cut some of the pavers so that they will fit properly. Fancy outlines usually require the most cuts. 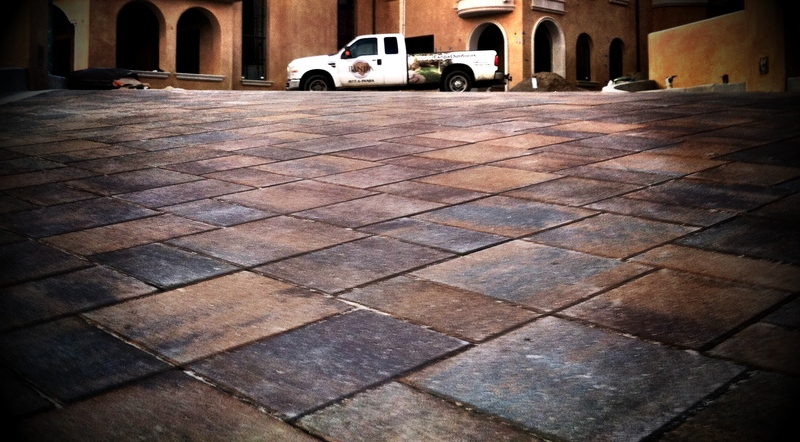 Our technicians install pavers above the surface to prevent water pooling on the pavers. This is why we always begin at the highest point when we plan a slope. All spaces that will be exposed to foot traffic will have 4-6 inches of base material. 12 inches of material will be used for driveways. 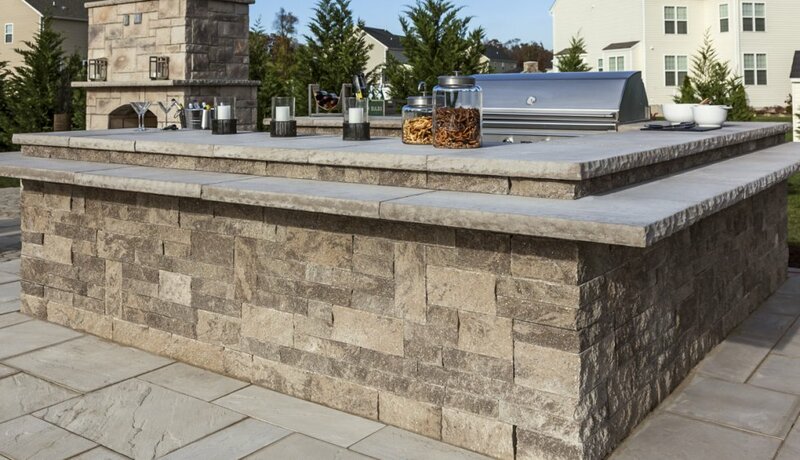 The base material is commonly a crushed stone that has irregular edges. Base material is important because it stays strong after it is compacted. If a base has poor structural integrity, drainage problems will ruin the paving. The final steps involve installing the edge restraints and laying a layer of sand. The restraints hold the shape of the pavers. If your property is irregularly shaped, we will have to cut them so that they will follow the edges of the design. The sand is a key component because it holds the pavers in place. We use a coarse sand, and we smooth it to a depth of about one inch. When the pavers are installed, there will be gaps, but this is not a huge concern because there must be a 1/16 to 1/8 inch gap between the pavers. We commonly seal pavers to increase durability and lower maintenance.